Main image: Longton chairman and managing director, Jianguang Wang, Longton executive director, Winnie Pi and Longton chief financial officer, Andrew Lam pictured at the company's celebration event with a 'Fly Me to the Moon' theme highlighting Longton’s two Mascot projects. Developer Longton Property Group has celebrated the completion of its first residential project in Australia, Futra, in Mascot, Sydney. 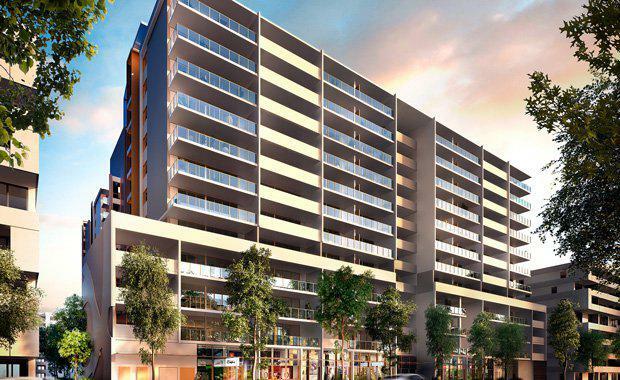 The developer has also announced the appointment of construction company ICON to build its circa $300 million Avantra project also in Mascot comprising 328 apartments across two towers. Longton Property Group this week invited 200 of its VIP buyers to a gala themed celebration at the Museum of Contemporary Art’s Harbourside Room highlighting Longton’s two Mascot projects being located less than 1km to the Sydney domestic and international airports. Longton’s Chairman and Managing Director, Jianguang Wang, travelled from Beijing to attend the celebrations and warmly addressed guests in a short speech at the event. Mr Wang said the evening marked a significant milestone for Longton in that it signalled the true arrival of the company in Australia. “With the completion of our first residential project, we have demonstrated to local Australian buyers that Longton delivers to exceptional standards,” Mr Wang said. “We are tremendously proud of what we have achieved in Sydney in a short four years and particularly so of our newly completed Futra project, which we will soon commence the settlement process with buyers. Designed by MD+A architects and Marchese Partners, Futra comprises 55 apartments within a single 12 storey building including a spectacular rooftop common area capturing sweeping views of the Sydney CBD to the north and Botany Bay to the east. The project is almost sold out with only five apartments remaining. Longton Executive Director, Winnie Pi, who oversees Longton’s operations in Australia said the company was delighted to celebrate its recent successes with its most important stakeholder, its many loyal buyers. “We are very fortunate to have sold many of our apartments at all three of our current projects – Futra, Avantra and The Uptown in Roseville – to a wide range of local buyers,” Ms Pi said. One of Longton’s unique features in its developments is every apartment is fitted with home automation, equipped with a Samsung fingerprint digital door lock and Samsung video intercom, Integrated Home Automation - allowing home owners to control lighting and air conditioning via a tablet (included with every apartment). Longton Property Group's Avantra residential development currently under construction in Mascot. With Longton’s appointment of ICON, construction on its Avantra project has commenced recently with the project due for completion in 2018. Longton’s third project, The Uptown, is being developed in joint venture with Chiwayland Australia and is due for completion in late 2017. Located in the heart of Roseville, one of Sydney’s prestigious upper north shore neighbourhoods, The Uptown is a $200 million apartment project positioned on the 1.37 hectare site at 1-31 Victoria Street, just 10 kilometres from the Sydney CBD. Also designed by MD+A Architects and with interiors by award winning Archer + Wright, The Uptown offers a selection of brand new one, two and three-bedroom apartments that epitomise ‘comfortable, spacious apartment living’, many with additional studies and all with parking. The apartments have been specifically designed to offer boutique living, boasting high quality fittings and fixtures such as plush broadloom carpet in the bedrooms, wide plank timber flooring in the living areas, European kitchen appliances, Grohe tapware, stone features in the bathrooms and kitchen and ducted air conditioning.